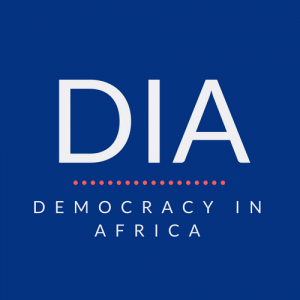 As part of our regular DiA Book Club series, which brings you the most important new publications on African politics in an easily digestible package, Beth Elise Whitaker and John F. Clark introduce their important new book on Africa’s international relations – which turns out to have essential lessons for understanding both domestic politics and foreign policy. Why do African leaders cultivate ties with some foreign powers and not others? How do civil conflicts in Africa at times expand to engulf entire regions? Why have leaders enhanced the capabilities of the African Union while simultaneously undermining the authority of the International Criminal Court? Why have external attempts to promote democracy and human rights borne little fruit in many parts of the continent? In our new book, Africa’s International Relations: Balancing Domestic and Global Interests, we situate these questions and others at the nexus of comparative and international politics. We argue that the external relations of African countries are shaped chiefly by domestic political imperatives. Most African leaders, even those chosen through free and fair elections, face threats to their power both from within their governments and from opposition groups. To mitigate such risks, African leaders cultivate international relations that help secure their hold on power. Whether negotiating loans, responding to regional violence, or interacting with external powers, the pursuit of regime security influences the types of external actors with whom African leaders seek to partner and the terms of resulting relationships. The book covers a wide range of topics, including the historical context of colonialism and the Cold War, external pressures for economic and political reform, the cross-border spread of conflicts, and relations with traditional Western powers and emerging ones like China. While many themes emerge from our exploration of these topics, three examples help illustrate the interconnections between domestic and international politics. Despite optimism that the end of the Cold War would usher in a new period of peace and prosperity, violence increased in Africa in the 1990s. Conflicts in places like Somalia, Rwanda, and Liberia became regionalized through the cross-border movement of militants, weapons, and refugees. Some governments intervened in other countries by sponsoring rebels or sending in troops of their own, justifying such actions on national security or humanitarian grounds. In the book, we explore at length the regionalization of the conflict in the Democratic Republic of Congo (DRC). At its peak in the late 1990s, the conflict involved troops from at least six other countries, including Rwanda, Uganda, and Burundi supporting rebels, and Zimbabwe, Angola, and Namibia backing the government. The involvement of so many foreign actors in DRC can only be understood by exploring the domestic political imperatives of these countries’ leaders. This is most obvious in Rwanda, where the security of the Tutsi-dominated regime was threatened by the presence along its borders of hundreds of thousands of Hutu refugees, some of whom were militarized. By backing rebels in eastern DRC and dispatching its own troops, the Rwandan regime created a buffer zone from which it was safe from attack. For Uganda, the exploitation of Congo’s lucrative mineral resources reinforced the domestic power of President Yoweri Musevei and slowed his country’s withdrawal of troops, despite international pressure. While headlines draw attention to the dangerous journey some Africans make across the Mediterranean to Europe, reports often overlook the fact that two-thirds of Africa’s migrants go to other countries within the region. In traditional host countries such as Côte d’Ivoire, Tanzania, and Botswana, citizens have become less welcoming and governments have adopted restrictive policies. Once again, domestic politics have shaped African responses to these dynamics. Recent xenophobic violence in South Africa, for example, has taken place in the context of widespread frustration over the country’s failure to live up to the promises of the end of apartheid. With stagnant economic growth and lingering inequality, recent immigrants, particularly those who have had a degree of success, have become a target of resentment and hostility. Politicians periodically exacerbate xenophobia by scapegoating immigrants for deeper social and economic problems as they compete with one another for votes and power. China’s economic growth in recent decades has driven it to seek influence and resources in countries around the world, including in sub-Saharan Africa. China’s presence as a source of loans and aid has been a game changer, providing leaders with an alternative to traditional Western donors and reducing the effectiveness of their conditionality. If an African leader has a choice between a loan from the United States, with a long list of required economic and political reforms, or one from China with few such conditions, the decision seems obvious. Even so, African leaders have responded differently to China’s growing interest, depending on their own domestic political situations. As an aging Robert Mugabe clung to power in Zimbabwe, for example, his regime faced sanctions from Western donors and pressure from internal activists. Mugabe thus welcomed Chinese aid, helping to sustain his regime until an internal coup finally brought him down in November 2017. In contrast, Chinese investment in neighboring Zambia led some politicians to adopt a more antagonistic approach. Resentment over working conditions in Chinese-operated factories and mines helped generate support for opposition presidential candidate Michael Sata, who won in 2011 after several attempts. Ironically, his rhetoric became less critical of China after he assumed power, presumably because of the realization that his country still needed Chinese aid. In the end, as these examples demonstrate, Africa’s international relations are complex, involving a wide range of actors, often with competing motivations. Indeed, a key theme of our book is that states and international organizations are not the only important players. Relations among African countries and with the rest of the world are also influenced by many non-state actors, including aid agencies, religious bodies, activists, non-governmental organizations, journalists, foreign investors, rebel groups, criminal networks, and migrants. As African leaders pursue regime security in this era of globalization, then, they are contested both by activists using social media to draw attention to abuses and by local power brokers smuggling resources like diamonds, coltan, and ivory. Both are aided and abetted by outside forces. Although our book does not offer prescriptions to encourage some types of engagement over others, its findings suggest that policymakers must understand the complexity of actors and influences on Africa’s international relations before seeking to bring about different outcomes. Beth Elise Whitaker is an Associate Professor in the Department of Political Science and Public Administration at the University of North Carolina at Charlotte. John F. Clark is a Professor in the Department of Politics and International Relations at Florida International University. 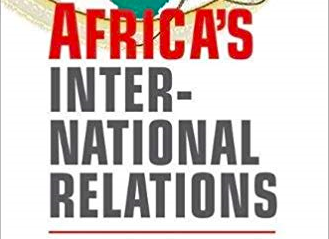 “Although our book does not offer prescriptions to encourage some types of engagement over others, its findings suggest that policymakers must understand the complexity of actors and influences on Africa’s international relations before seeking to bring about different outcomes.” I totally agree! And, I should like to hope that your book will act as a stepping stone for many African ‘policymakers’ to find the resolve to look themselves in a mirror. Only by coming face-to-face to their true African ‘self’ will it be possible for the African ‘policymakers’ to meaningfully engage outside policymakers, else there cannot be equality of arms; solutions to the continuing African malaise must first come from within. I look forward to reading your book. It looks promising.